WASHINGTON, May 13, 2014 /PRNewswire-USNewswire/ – The U.S. Postal Service ended the second quarter of its 2014 fiscal year (Jan. 1, 2014 – March 31, 2014) with a net loss of $1.9 billion. This marks the 20th of the last 22 quarters it has sustained a loss. 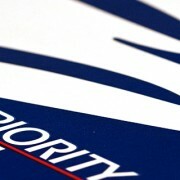 “The Postal Service is working diligently to improve its finances by streamlining our network to improve efficiency, reduce operating costs and increase revenue, which was up $379 million over the same period last year — the third straight quarter of revenue increase,” said Postmaster General and Chief Executive OfficerPatrick Donahoe. “Despite aggressive cost-cutting actions, however, we will still incur annual inflationary cost increases of approximately $1.2 billion each year, and First-Class Mail volume continues to decline,” added Donahoe. The Postal Service also is working to increase its package delivery business by offering greater customer benefits such as improved tracking and Sunday and day-specific delivery. Shipping and Package revenue increased $252 million or 8 percent over 2013 second quarter results, fueled by the growth of ecommerce. The Postal Service continues to capitalize on its competitive advantage in providing “last mile” service, resulting in a 26.4 percent increase in revenue from Parcel Return and Parcel Select Service over the same period last year. “Some comments in recent news reports suggest that all we need from Congress is help with restructuring our retiree health benefit plan,” said Chief Financial Officer and Executive Vice President Joseph Corbett. “Nothing can be further from the truth. Our liabilities exceed our assets by $42 billion and we have a need for more than$10 billion to invest in new delivery vehicles, package sortation equipment, and other deferred investments. As recorded in the Postal Service’s second quarter results, the volume of high-margin First-Class Mail continued to decline, a major contributor to the Postal Service’s precarious financial position. If a downturn in the economy or other circumstance should further stress the Postal Service’s cash flow, the agency would implement contingency plans to ensure that all mail and package deliveries are completed and that employees and suppliers are paid ahead of the federal government. Regardless of the state of the country’s economy, without comprehensive legislative reform, the Postal Service will be unable to make the required $5.7 billion retiree health benefit prefunding payment to the U.S. Treasury, due by Sept. 30, 2014. First-Class Mail volume declined 4.1 percent. Standard Mail volume increased 0.5 percent. Shipping and Package volume increased 7.3 percent. Operating revenue of $16.7 billion, an increase of $379 million or 2.3 percent, including the impact of the price change effective Jan. 26, 2014. Operating expenses before non-cash Workers’ Compensation expenses of $17.9 billion declined from$18.1 billion, a 1.1 percent improvement.